Max Goes to the Doctor by Adria Klein, leveled books E-F Max visits his doctor for his yearly checkup. 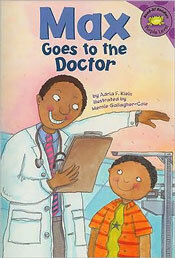 Come along as he has his eyes and ears checked, gets weighed and measured, and all the other parts of a routine exam. 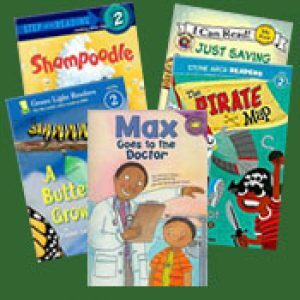 The Max series uses high frequency words and simple language to explore basic topics. Little Critter wants a new skateboard. Dad says he needs to save his money to buy it. 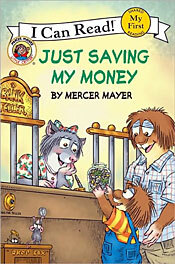 Little Critter finds lots of ways to earn the money, and finally he reaches his goal. 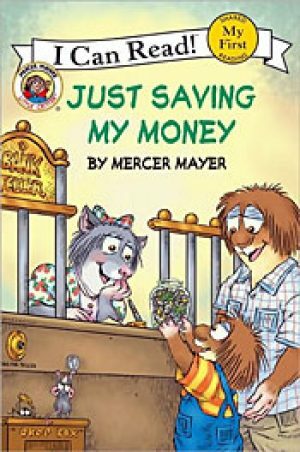 A high-interest story with Mercer Mayer's familiar characters will make this a favorite young readers will want to come back to again and again. 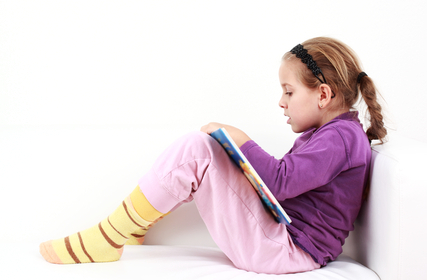 Be sure to look for the helpful mouse and spider on every page! X marks the spot! 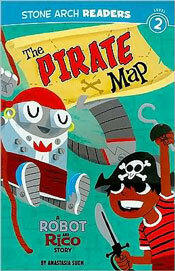 When Robot and Rico find a treasure map, they put on their pirate hats and swords, and go off in search of adventure. Will they unearth a real treasure? A simple storyline, with short dialogue and rich vocabulary will have beginning readers eager for more stories of Robot and Rico. See these other Robot and Rico books: Test Drive, Skate Trick, Dino Hunt, and Snow Games. 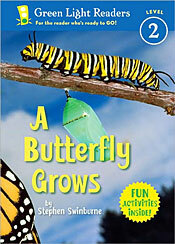 This beginning reader describing the life cycle of a butterfly is filled with stunning photographs. Told from the perspective of the butterfly-in-transition, it uses short sentences and simple vocabulary such as, "Rain falls. It plips and plops. I need to drink water. I drink the small drops." 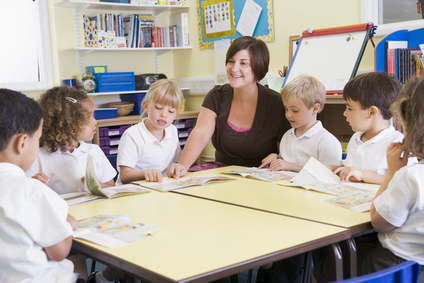 You'll find discussion questions and writing prompts at the end of the book to assist you in extending the topic. It's picture day, so the dogs are going to the groomers. But what an uproar some kittens cause when they venture into the shop! This lively tale told in very short rhyming sentences uses lots of interesting vocabulary. 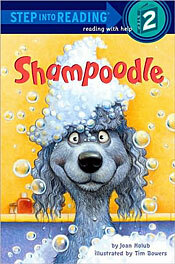 Readers will love the funny doggy hairstyles, and the surprising ending.